A new study documents a 75 percent reduction of pertussis hospitalizations among babies six months and under whose mothers got the Tdap immunization while pregnant. The study, published in the American Journal of Preventative Medicine, is the first to look at clinical outcomes of the vaccine in infants over the first 18 months of life. Pertussis, also known as whooping cough, is a severe respiratory infection that is especially dangerous for infants and can result in hospitalization or death. It has been increasing in occurrence in the US since 2000. The CDC has long recommended that children under the age of seven receive doses of the DTaP (diphtheria, tetanus, acellular pertussis) vaccination through a series of shots. The current series of shots happen at the ages of two, four, and six months, followed by two booster doses later in childhood. In 2013, the CDC started recommending that all women receive the Tdap vaccine during every pregnancy in order to pass immunity on to the fetus. That recommendation was based on immunological data showing that maternal anti-pertussis antibodies are transferred to the fetus through the placenta, but not on true clinical outcomes, such as pertussis cases. The study, which Sylvia Becker-Dreps, associate professor in the departments of family medicine in the UNC School of Medicine and epidemiology in the UNC Gillings School of Global Public Health, led, reviewed more than 675,000 pregnancies in the US from 2010-2014 and analyzed insurance claims data to identify the receipt of Tdap during pregnancy. Researchers also looked at hospitalizations and outpatient visits for pertussis in the infants through 18 months of age. The clinical outcomes show that the immunity passed from mother to fetus during pregnancy protected the infant during the first six months of life, before the infant completes the full course of the pertussis vaccine themselves. The study found that in the first six months of life for infants whose mothers received the immunization during pregnancy, there was a 75 percent reduction of pertussis hospitalizations and a 46 percent reduction of any pertussis cases. Further, the study did not find that infants whose mothers received the vaccine had a less effective response to their own pertussis vaccine series, as some immunological studies have suggested. “Our results showed that getting it during the third trimester, but at least two weeks before delivery, is best to optimize the benefits of the vaccine,” Becker-Dreps says. The study found that infants whose mothers received the immunization during the third trimester had a reduction in pertussis, while no benefits of the vaccine were observed when mothers received it earlier in the pregnancy. 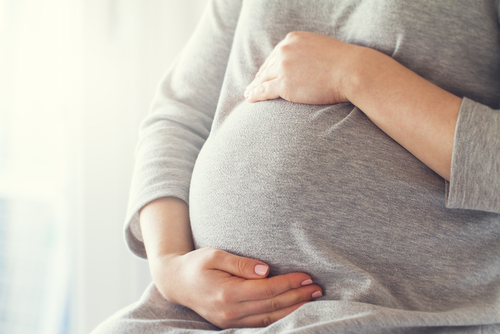 These findings further reinforce the CDC’s currently recommended “optimal timing” of the Tdap vaccine between 27 and 36 weeks of pregnancy. This is the third and final study in a series by UNC investigators looking at how many women get the Tdap vaccine during pregnancy, its safety, and its effectiveness. Becker-Dreps also says that because the Advisory Committee on Immunization Practices (ACIP) recommends the Tdap vaccine during pregnancy, most insurance policies cover it with a copay.